This gentle exfoliating cleansing treatment acts as a 4-in-1 product to thoroughly cleanse and improve glow while purifying, minimizing the appearance of pores and helping to protect the skin's natural hydration balance. Free of soaps, alcohols and detergents, this cleanser clarifies with fresh enzymes, clays and essential oils, while microspherical beads polish the skin and reduce appearance of blackheads – all without stripping the skin of moisture. Skin is left feeling balanced, hydrated and glowing. Gentle exfoliation helps remove build up from the surface of the skin. Leaves skin feeling supple and moisturized. Deeply cleanses and decongests the skin. I received this as a sample packet in my last order and I'm about to order a full sized one. 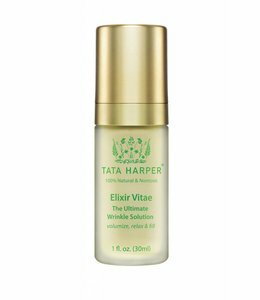 I've tried a number of Tata Harper products. I don't like everything I've tried but this one is simply AMAZING! I've been faithfully using an exfoliant by another brand for a couple of years but this Regenerating Cleanser just beat it as my top pick! It's a joy to use! The scent is sparkling, fresh & lovely- like waking up in a spring garden. My skin feels ultra soft, smooth, clean & hydrated after use. I just love this cleanser !!! Absolutely a must try product.